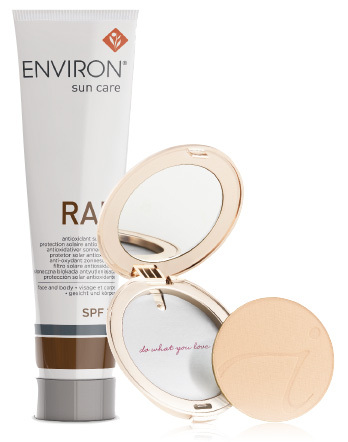 10 Rules for Healthy Skin to live by | iiaa Ltd | The UK and Ireland distributor of Environ Skincare, jane iredale makeup and Advanced Nutrition Programme. When it comes to sunshine, the advice is: use antioxidant vitamins together with reflectant sunscreens such as titanium dioxide and low dose organic sunscreens (all found in RAD SPF 15). Retinyl palmitate in high doses will give the equivalent of SPF20 and cannot be washed or sweated off so try to slowly build clients up to maximum levels. Remember that the effects of winter sun (UVA only which accelerates ageing) are often not taken into consideration in the same way as summer sun (UVA and UVB which causes burning). So, make sure that after every treatment you apply RAD or jane iredale PurePressed® Base Mineral Foundation to moisturised skin. Therapists should always encourage clients to feed skin orally as well as topically. This two pronged attack will ensure skin is nourished from the inside and outside. 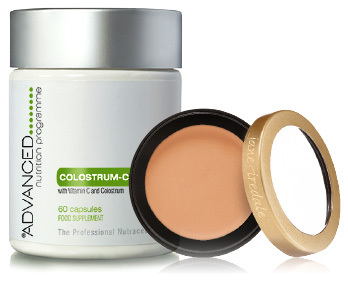 As a minimum, recommend Skin Complete to mirror topical care. 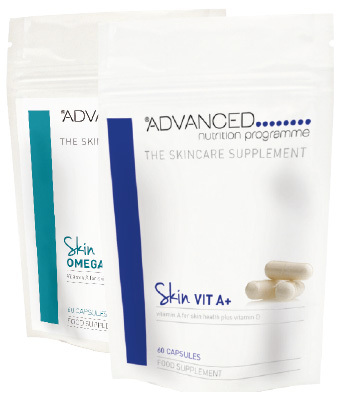 Additional supplementation with an Omega 3 and 6 will provide essential fatty acids feed the skin with the ‘good ‘oil needed, to ‘waterproof’ skin cell membranes and keep skin hydrated. Extensive exfoliation makes the skin thinner, more vulnerable, drier and while may present a brighter fresher appearance for a few days, then deteriorates, prompting a vicious circle of more exfoliation. The solution is to stop, allow the skin cells to mature properly, use Skin Vit A+ and Skin Omegas+ to promote a healthy horny layer that will protect the skin, retain moisture and eventually present beautiful skin. Interestingly, whether you have dry or oily skin, oil based cleansers make a good first step in the cleansing process. They effectively remove pollutants, make-up and debris from the skin to decongest, without the stripping action, that ultimately dries skin out, making it more vulnerable and sensitive. Oil will cut through grime giving the skin a really effective cleanse. Effective skincare treatment begins from within, so therapists should recommend an effective mix of antioxidants and Vitamin A both orally and topically. Vitamin A is the single most important molecule to keep skin healthy and repair damage and determines how your skin cells repair and develop. Skin Complete provides Skin Antioxidant and Skin Vit A+ which used in partnership with Environ will give the skin protection and regeneration. Don’t rely on the same mix. A client will achieve a boost in their skin results by adding additional active ingredients such as peptides to further stimulate collagen and elastin production. Add Vitamin C Plus orally and topically to reduce redness and even out skin tone as well as acting as a powerful antioxidant. Other great ingredients include asiatic, mandelic and lactic acid which work together to release natural growth factors in skin helping to tighten and smooth photodamaged skins. Don’t forget regular courses of treatments which will supercharge results and enhance client loyalty. Not a hard rule but one to manage carefully. Clients need your professional advice to manage their progressively higher concentrations of vitamin A and other active ingredients. This will ensure the protection and maintenance of a smooth, even-toned, and healthy skin and prevent signs of ageing, pigmentation, problem skin and scarring. It’s the party season (very soon) full of fizz, choccies, late nights and too much rich, sticky food. Sleep is also unlikely to be high on the agenda. So, advise extra vitamin C during this period (inside and out) and Colostrum-C to boost immunity. 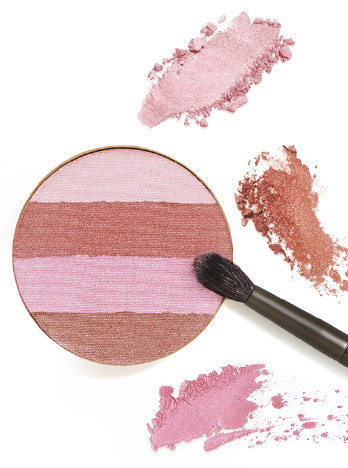 Post party clever weapons include using jane iredale Enlighten ConcealerTM to cover dark circles and faking a healthy glow over pale lacklustre skin with jane iredale Bronzer. Regular exercise reduces inflammation, helps regulate stimulate skin-significant hormones and prevents free-radical damage. When you exercise, the tiny arteries in your skin open up, allowing more blood to reach the skin’s surface and deliver nutrients that repair damage from the sun and environmental pollutants. So advise your clients to get moving to improve their skin. We all need a confidence boost and some inspiration. Try a refresher training course or how about expanding your range to offer the full iiaa FEED, FORTIFY, FINISHTM philosophy to your clients.